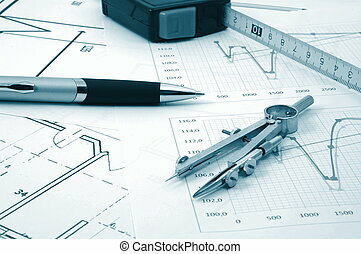 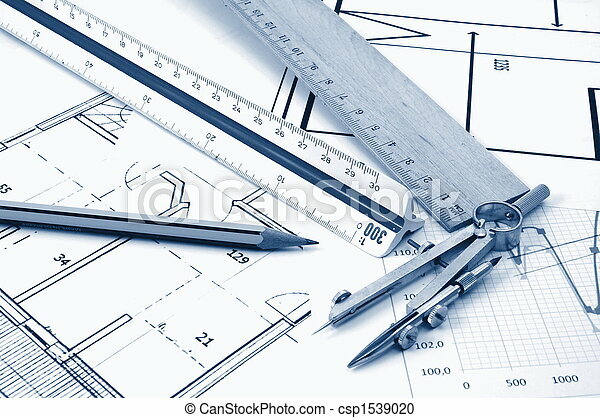 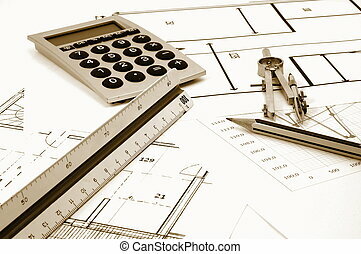 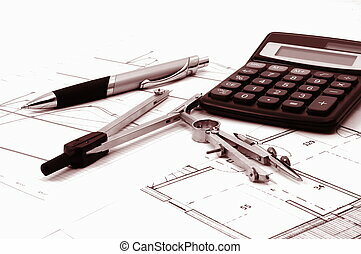 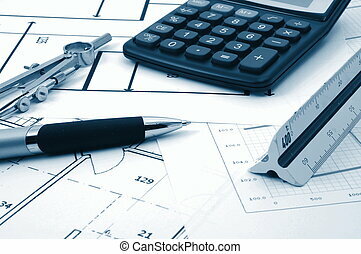 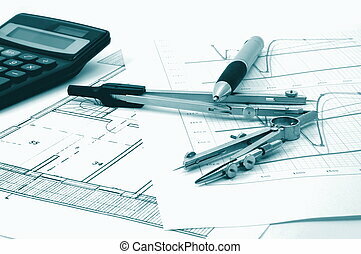 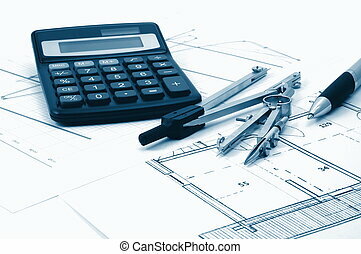 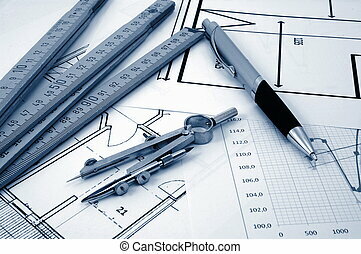 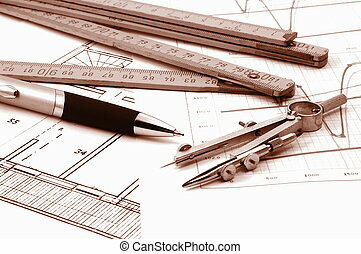 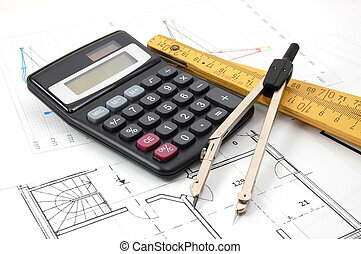 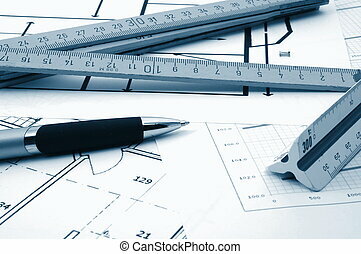 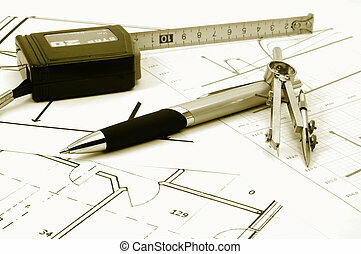 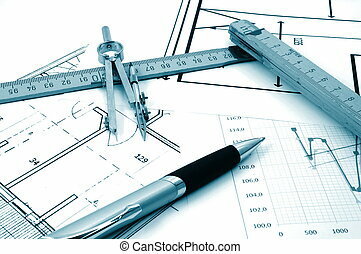 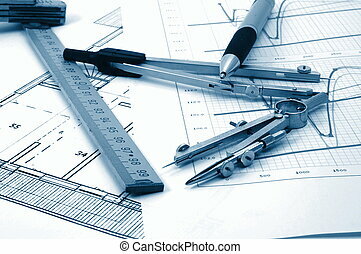 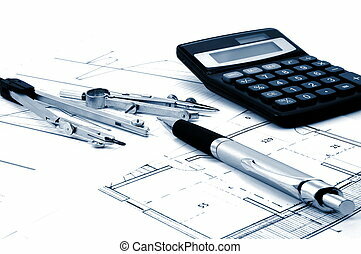 Architectur plans of residential real estate. 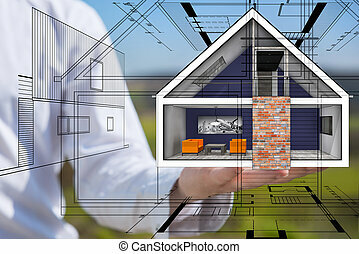 Plan of residential real estate from architect. 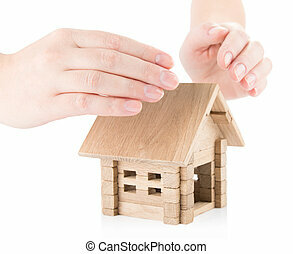 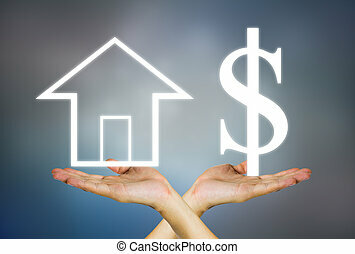 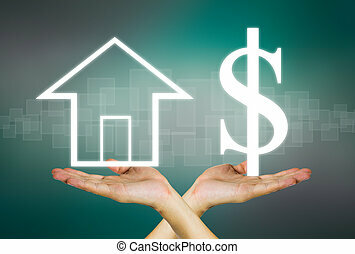 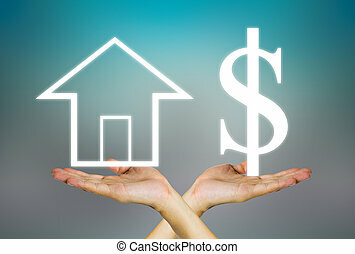 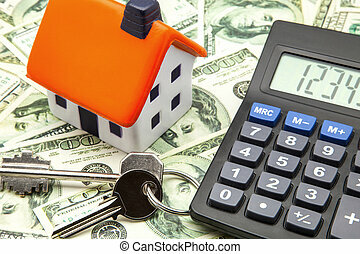 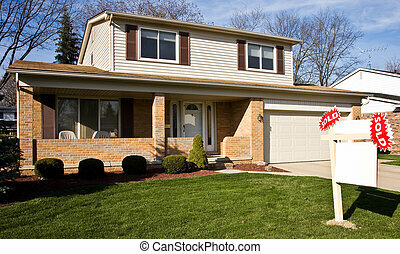 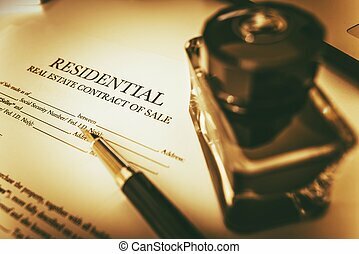 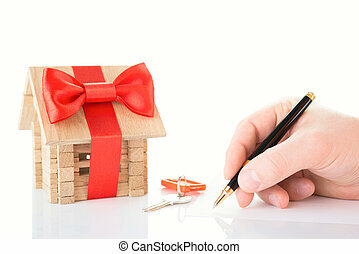 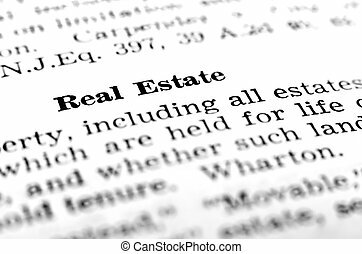 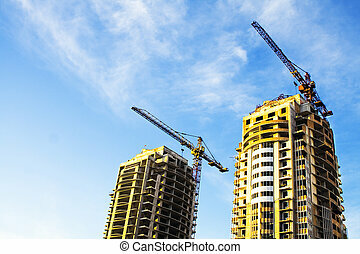 Residential Real Estate Contract of Sale. 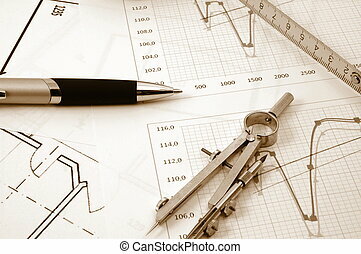 Vintage Sepia Color Grading Concept. 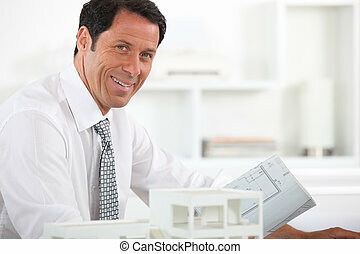 Concept of real estate business in dark background.